BSR10 is a safety/expansion relay with relay outputs, 3 NO + 1 NC, and a +24 VDC supply voltage. 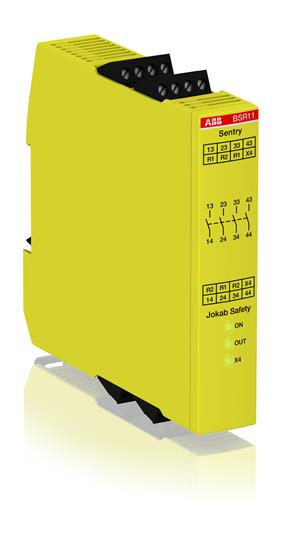 BSR10 is designed to connect safety devices, such as emergency stops, directly in the voltage supply circuit of the relay. BSR10 is also suitable as expansion relay for a safety relay/ safety PLC, in order to increase the number of safe outputs.